Start out by asking each replacement windows installation company that comes to give you a project quote to take you through the steps they will take with your replacement windows. The answers should generally be the same. If one of the companies is suggesting much less, . Here are some questions to ask potential contractors to let them know that you know your stuff and won’t accept faulty installation! Even just giving off the illusion that you know your ABCs about installation and costs will help insure that the installers don’t cut corners. The two most popular options are fiberglass and foam insulation (popular brands are Hilti or Dow). Foam is considered by many contractors to be a better insulation for home windows. Three popular caulking options are Silicon, Quad by OSI and Sidewinder (similar to the Quad). One popular approach is to use the Quad on the outside and Silicon caulk on the inside to avoid unpleasant fumes. Many contractors use Vulkem on basement windows if they are being inserted into concrete. For stucco, contractors might opt for a knife grade elastomeric sealant. 3. How Do You Handle Capping? Some installers will bend trim coil and then cap. You want an installer who doesn’t take shortcuts and will make a piece to match the existing one. Make sure the answers seem solid here and pay attention to the details they are giving about their installation techniques. Even if you don’t understand everything, you will get a sense of whether the installer knows their stuff and the materials they will be working with on your job. 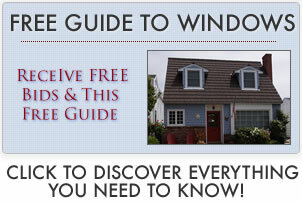 Call the homeowners and Checking References ask about the state of the windows and whether any problems have come up. If problems did arise, how were they handled. Were they resolved to the satisfaction of the homeowners. This is an important step because you want to make sure that the windows they install today are going to be functioning properly 5 years from now. Drive by to visually inspect the windows and talk to 1 to 2 recent customers to make sure the work is CONSISTENTLY good. Air leaks occur from improper caulking or sealing. The result is cold drafts inside your home which is miserable, frustrating and ups your monthly utility bill. Water leaks occur from improper cauling or sealing. Water leaks can cause immense damage inside you sills, frames and walls. The damage can occur before you know a leak even exists. This is why you proper window replacement installation (proper sealing) is so important. Windows do not properly close is the install is not level or the frame bends over time. If the frame isn’t level, the sash cannot properly close and weather stripper can’t create the proper seal. Using poor quality vinyl with inferior extrusions or not enough fills in the chambers can mean a frame that bends over time. (You also want to make sure that you don’t buy windows that are too wide for the frame material and could warp over time.) Once there is any sagging or bending, it won’t properly work and you might as well have purchased a fixed frame. This is one reason why vinyl replacement window installation is doubly important!